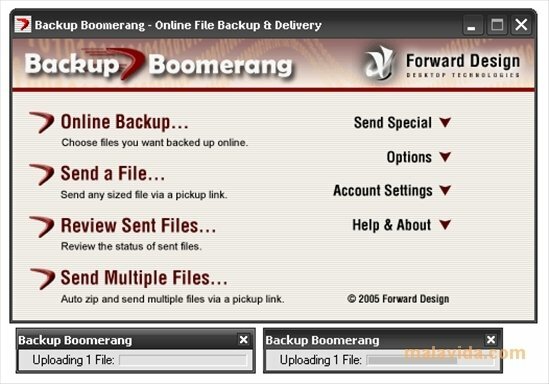 The majority of backup software only allows to store the data of one drive to another drive. They have more or less options, but they basically create an identical copy of certain data on another medium. 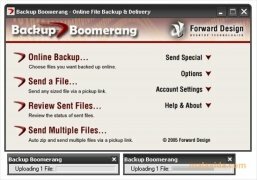 With Backup Boomerang this support is performed in the cloud. 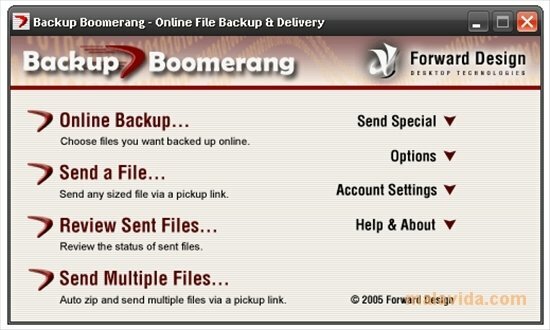 When we configure Backup Boomerang, we will have space in Internet where we will upload our data creating incremental copies of it, this means that the first time round it will copy all of it and the following times it will only copy those things that have changed. What's more, we will have a registry of changes, to be able to go back to an earlier version of the modified files. 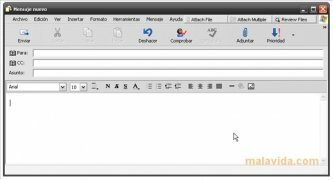 Once the files are "in the clouds", we will be able to access them from any computer without any additional software and the files will be downloaded as .ZIP files. 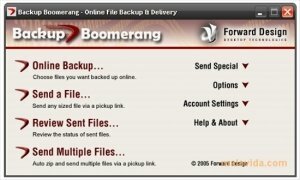 What's more, the Backup Boomerang client integrates with Outlook and Outlook Express to make sending the data a lot easier, uploading the data attached to email to the Backup Boomerang storage and sticking a link in the email. 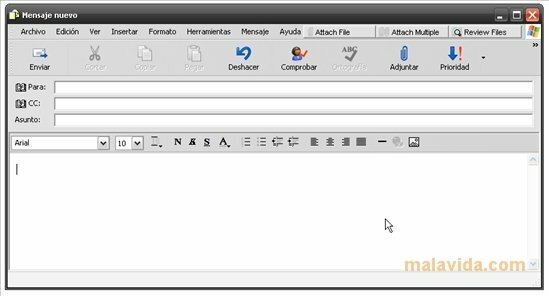 Like all other security elements, that uploaded files have a 256bits encryption, it is always accessed by means of a 128bits SSL and once in the server it is encrypted so that not even the company can access them.